There are hundreds of reasons to visit New Zealand's very own 'Windy City' of Wellington - whether you're a culture vulture, a foodie or you want to enjoy the great outdoors, you'll find everything you're looking for here. Whilst Auckland is the largest city in the country, Wellington is the country's capital, and as such has an unrivalled selection of museums, galleries, eateries and other attractions to explore. Most travellers in New Zealand end up here, if only to catch the ferry across the Cook Strait to the South Island, but it's definitely worth allowing for at least a few days here to soak up all the city has to offer. Its attractive waterfront and beaches make for a pleasant couple of hours exploring, as do the botanic gardens and historic cable car. It's relatively small for a capital city - with just 450,000 inhabitants, but that hasn't held it back from developing a thriving arts scene. One of its most famous attractions, Wellington is host to 'Te Papa' - the 'Museum of New Zealand' which has recently been voted as one of the top 25 museums in the world by TripAdvisor and is a must visit if you're in the city. Generally pretty temperate with the wind being the only real extreme. New Zealand’s regarded as one of the safest countries in the world & Wellington is safe for a city. Take sensible precautions as in any city but it’s generally a safe place. Free of charge, and one of the best museums we’ve visited, Te Papa takes you on a journey through the history of New Zealand. Learn about the cultures of the Pacific, how the Maoris came to New Zealand, and even about the socio-economic history of more recent years. This is a truly fascinating museum that’s set out in a unique and interesting way. Created by Sir Peter Jackson and located behind Wellington’s war memorial, this is an exceptional exhibition dedicated to WW1. Looking at it not just from the perspective of those troops who fought from New Zealand, but the history of the way itself, it provides a walk through of each year of the war, its key events, and its losses. This is a must visit for any movie fans, and whilst the gift shop and ‘cave’ can be visited free of charge, the tour is by far the best feature and is relatively inexpensive. You’ll tour the workshop itself and see how the props and costumes for films such as Lord of the Rings, the Hobbit, Avatar, Tin Tin and many more are taken from concept through to creation. It’s a fascinating inside look at the film industry. If you need to burn off all that food you’ve been enjoying in the city, there’s no better way than by taking a stroll up to Mount Victoria Lookout. Make sure you take the hike on a clear day and you’ll be rewarded with stunning views of the city and marinas. The walk itself takes around an hour or so at a decent pace and is all uphill, but it’s worth it for the views! Just outside of the city centre lies an area 225 hectares in size which has been converted into an eco sanctuary. This vast urban conservation area is an incredible project, designed to recreate New Zealand’s natural bush environment and to preserve and protect indigenous species. Spend a couple of hours exploring the meandering pathways and spotting an incredible array of wildlife. The organic onsite cafe is also fantastic. If you don’t fancy the stroll you can take the historic cable car uphill to Wellington’s Botanic Gardens. This covers over 25 hectares and was established back in 1868. The gardens are beautiful and feature many plant collections as well as forest landscapes. It’s also another great spot for impressive views over the city. A very hipster vintage styled coffee lounge where they grind the beans onsite, this is one of the best coffee joints in town. Caution: this is closed on weekends. A little speakeasy hidden away up a set of back stairs, this is a great cocktail lounge. Knowledgable bartenders welcome you in and ensure you have a drink that perfectly matches your mood. Another cocktail bar, this is styled as an old fashioned reading room with comfy sofas and plenty of books. It’s a good spot for a late afternoon beverage as the sun sets through the windows, providing a relaxed atmosphere. You can’t really visit New Zealand without enjoying some ‘Fush & Chups’ and Wellington is the perfect place for it. This chip shop looks unassuming, but it’s well priced and the fish in particular is delicious. Take a wander and enjoy them by the waterfront on a sunny day. Well deserving of a shout out for an amazing Sunday roast dinner at the bargain price of $18, this is another hipster joint, but a very cosy one to spend a few hours in. Decorated with various luggage boxes, stags heads and antlers, it’s a welcoming hang out with a local pub kind of vibe. Situated on the famously trendy ‘Cuba Street’, I’d vouch that this is home to one of the best brunches if not in Wellington then perhaps the whole of New Zealand. Only $20 for a full English and a coffee, this gets you organic sausages, bacon, spinach, mushrooms, black pudding and all the usual good stuff, including perfectly poached eggs. Many end up in Wellington to cross the Cook Straight over to Picton in the South Island. There are many ferry options available, but spots do tend to sell out a few days in advance, especially in the high season and summer months from November – March. Make sure that you budget for the ferry crossing as well – we paid $226 for a night crossing with our 2/3 berth campervan with Bluebridge. If you’re travelling with Escape campervans you can get a discount on the usual prices which is worth looking into. Not exactly a visitor’s attraction, but worth noticing that as you wander around Wellington and its waterfront, there are many quotations that appear at intervals carved into different surfaces. 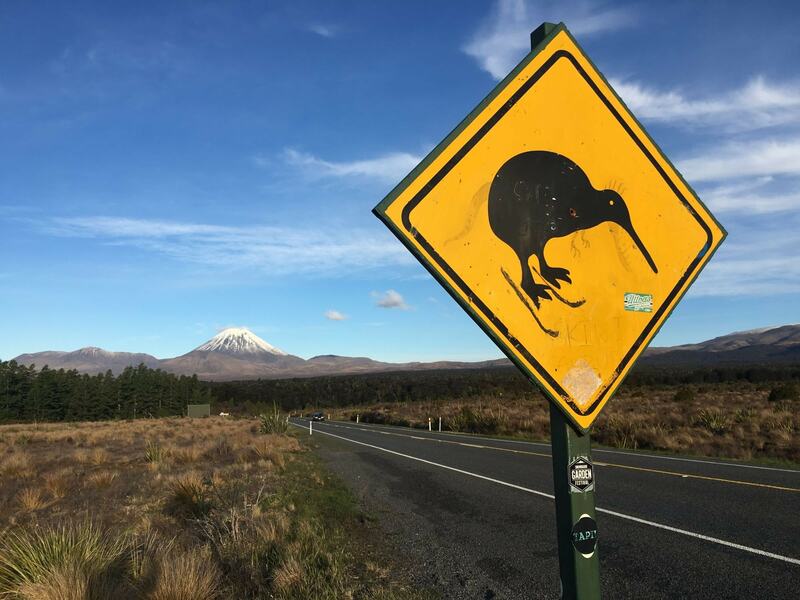 There are 23 quotations from famous writers in New Zealand, both modern day and from the past, and encompassing everything from playwrights to poets. Spend a pleasant couple of hours trying to spot these intriguing quotations that “on any day, be it dark or dazzling … lift the spirits and tie literature to landscape”. Although Wellington is rather small for a capital city, it’s definitely worth staying towards the centre of the city if you can. That way everything worth visiting is within walking distance. There are alternatives towards the outskirts but public transport or a cheap Uber would be recommended. Another cheap alternative is the Setup on Dixon. A very popular central hostel with rates as cheap as $28 per night! If you’re looking for something a little bit more upmarket than a hostel but not as ridiculous as the Ritz, the Belvedere may just be for you.